Allcorn House - Volz & Associates Inc. The Allcorn House was built in the mid-1840s by Thomas Jefferson Allcorn on land inherited from his father, Elijah Allcorn, one of Stephen F. Austin’s original 300 Texas colonists. As Allcorn’s family and fortune grew, the house was improved and expanded. The Kokemoor family acquired it in 1887. 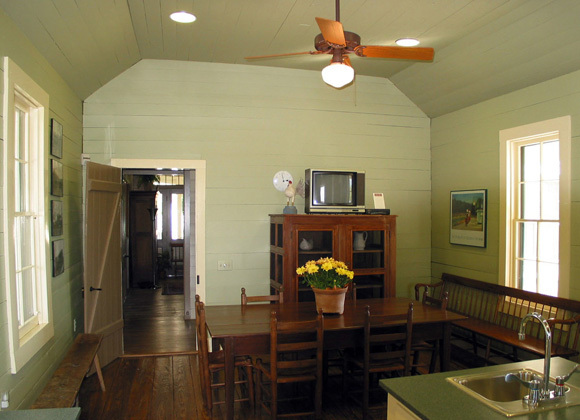 To accommodate their extended family, a kitchen wing was added in the 1890s and an east bedroom wing was added ca. 1900. 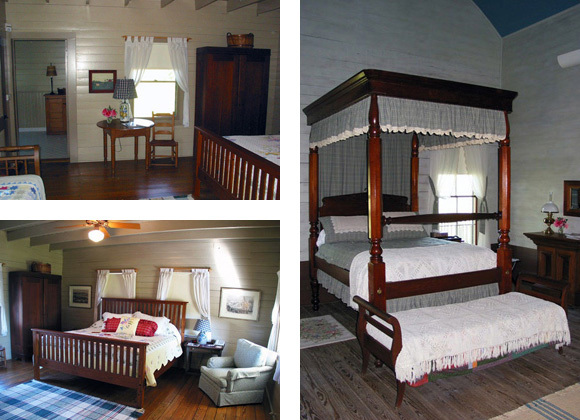 We provided complete architectural services for the interior and exterior restoration/rehabilitation of the house as a bed and breakfast inn. 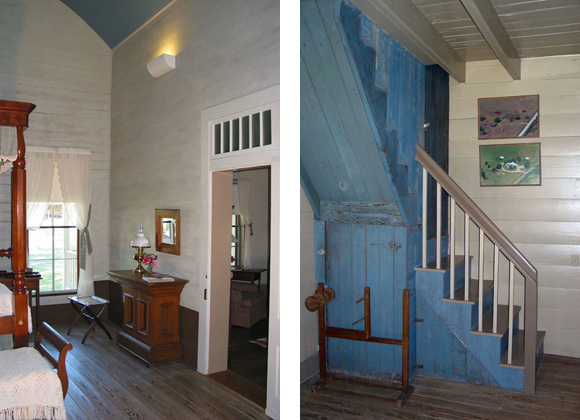 The client’s goal was to preserve significant elements from both the Allcorn and Kokemoor periods while providing a compatible new use. 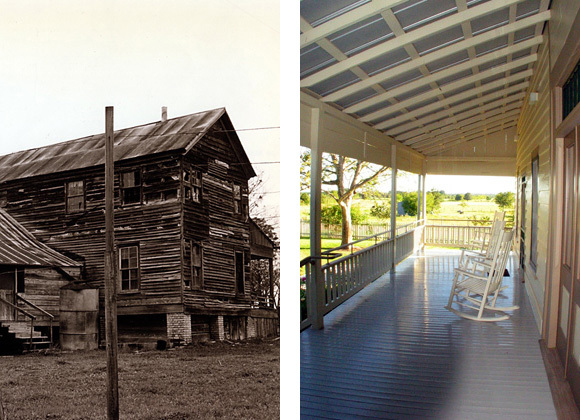 As a result, the 1840s section of the Allcorn House reflects the early Texas vernacular building tradition, representing one of the best-preserved examples in Washington County. 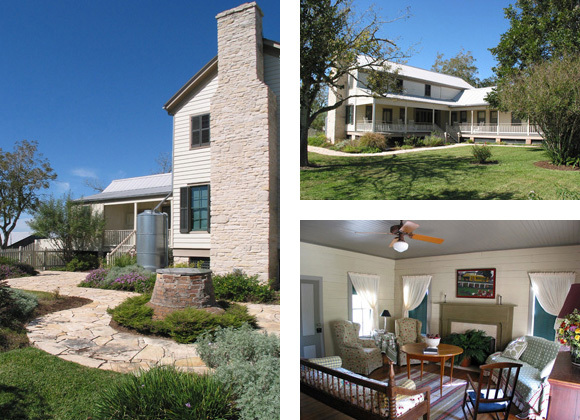 The Kokemoor additions reflect the evolution of Texas’ agricultural system from a plantation-based economy to one of smaller, family-run farms.